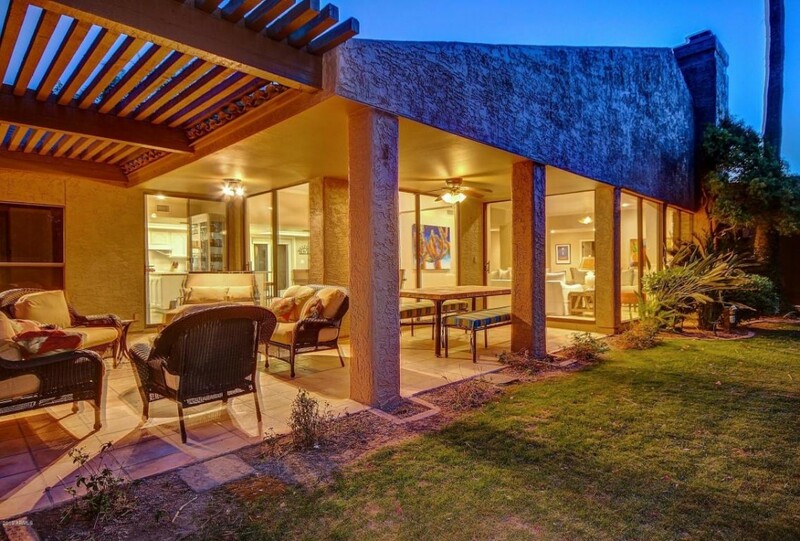 Exquisitely remodeled Home w/ Views of Camelback Mtn. in the Prestigious Village at Camelback Mountain. Guard Gated enclave in the center of Arcadia. Walk to hottest restaurants, shops and the famous Village Health Club. Professionally remodeled with all the finest finishes Gorgeous French Versailles Travertine tile floors through-out. Stacked Stone Fireplace, 8’ Windows frame views of Camelback plus tons of Natural light. Luxurious Master Bath, Large Soaking Tub, Natural stone surrounds w/ Custom Mosaic’s, Knotty Alder Cabinets, Fixtures, Lighting you name it. Heated South facing pool with Custom Waterfall Feature, + climate controlled pool house with its own bath. Private, relaxing covered patio lush grounds, green grass—truly the best of both worlds. New Trane 14 SEER HVAC ect. ect.